Desserts... Desserts... Desserts!!! 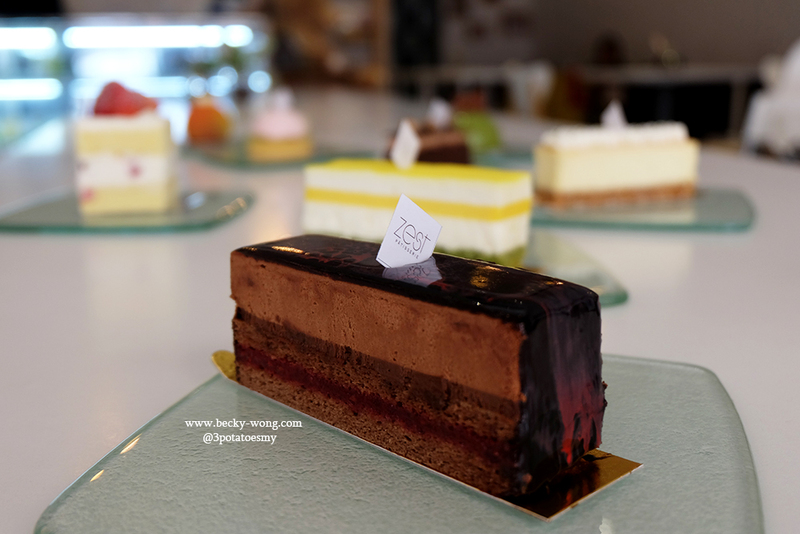 Many girls can't resist these beautiful sweet treats, and I'm not sure if you realized, there are quite a few dessert bars popping up in Klang Valley. I'm not a huge fan of desserts - thanks to my super low tolerance in sweetness, but occasionally I do enjoy a good sweet treats. 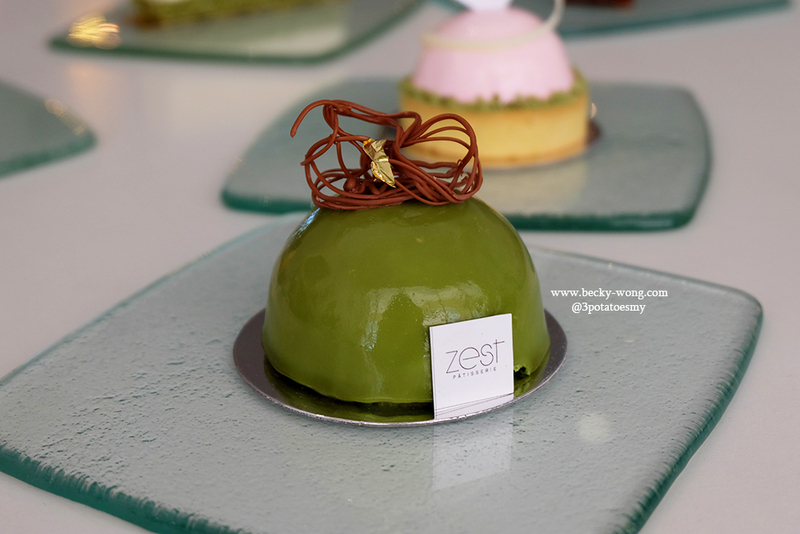 2 weeks ago, my friends and I paid a visit to a dessert bar at Connaught Avenue in Cheras - Zest Patisserie. 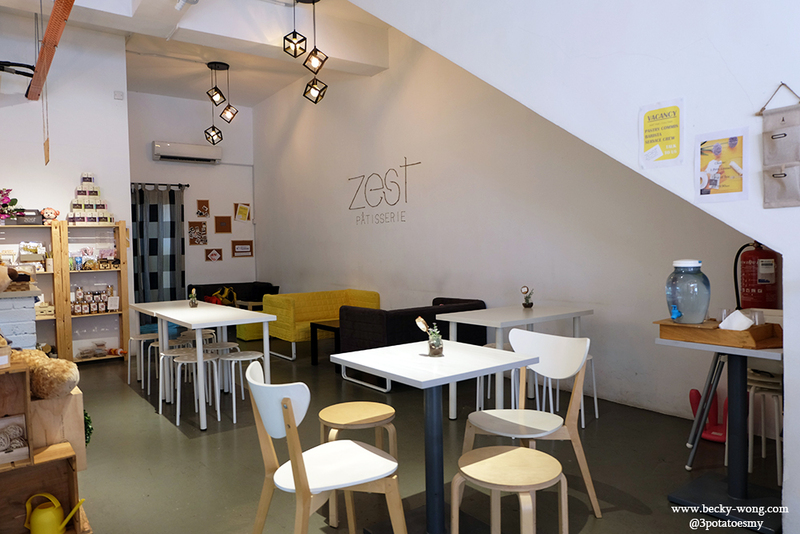 Zest has kept their interior simple with a few tables and chairs and 2 sofas. 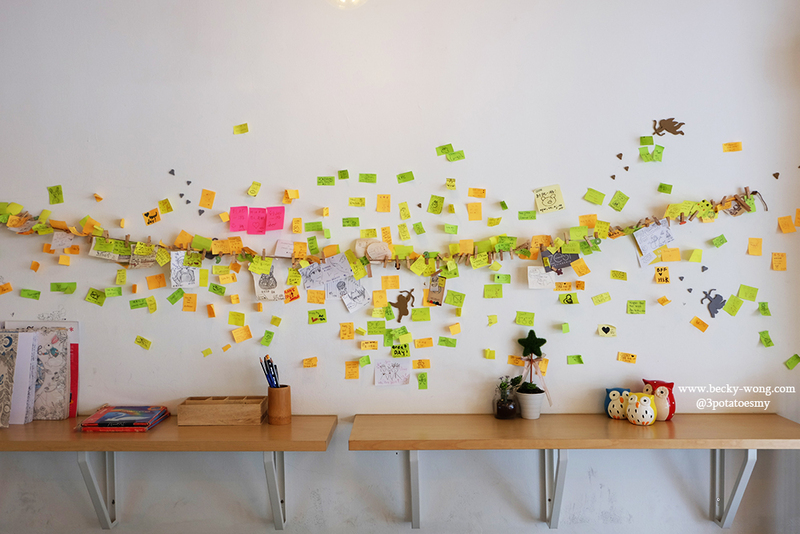 Guests are more than welcome to "leave their mark" by sticking the post-it on the wall with their drawings or wishes. 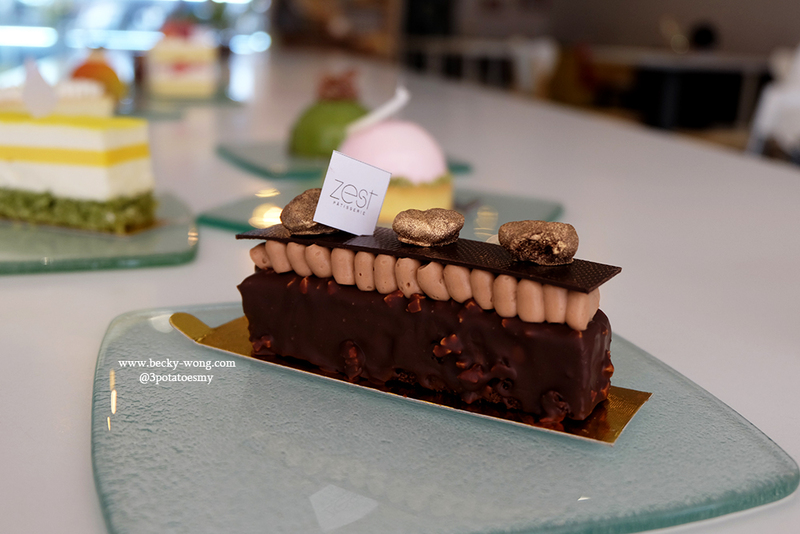 Zest Patisserie opened in 18 October 2015 by Yi Xiang, who graduated from KDU. 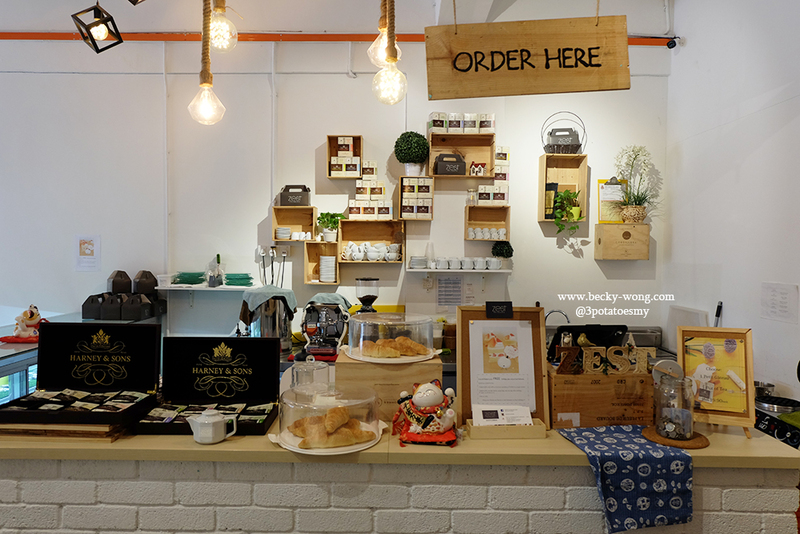 After working for couple of years as a professional pastry chef, he decided it's time to start his own dessert bar. We were wondering why the name "Zest"and we were told the name was inspired by lemon zest - you only need a little bit of it but the flavours are incredible. Also, zest has the meaning of great enthusiasm and energy. These are what the owner wish to create for the dessert bar. 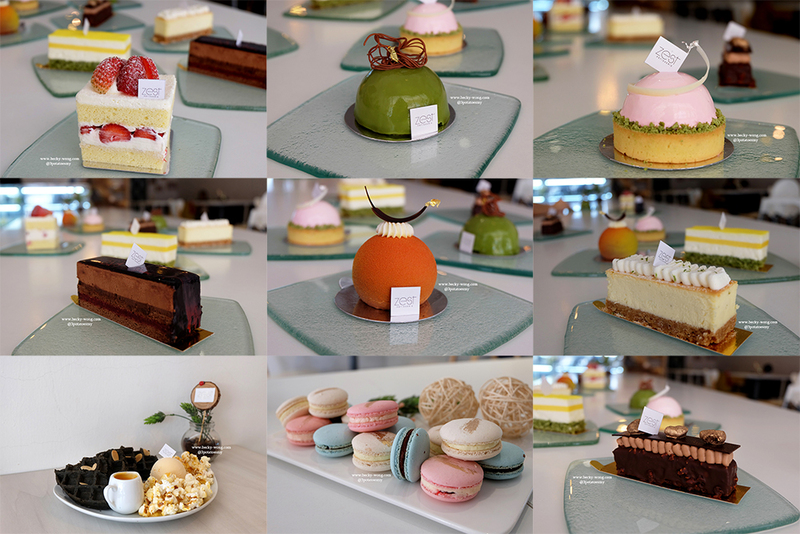 OK, enough of me blabbing and let's take a look at the dessertssssss that we had the other day! La Fraise (RM 13.80). Looks familiar? It's actually strawberry shortcake. The sponge was so light and airy, and same goes to the cream too - which was light with the unmistakable aroma of vanilla. We were told they used vanilla seeds to make instead of vanilla concentrate. We finished up the cake in seconds. Vanilla Berry Rhubard Tart (RM 14.30). The pink tart was so feminine and pretty. Sitting on the crumbly tart is rhubab compote with berries jelly and vanilla mousse. 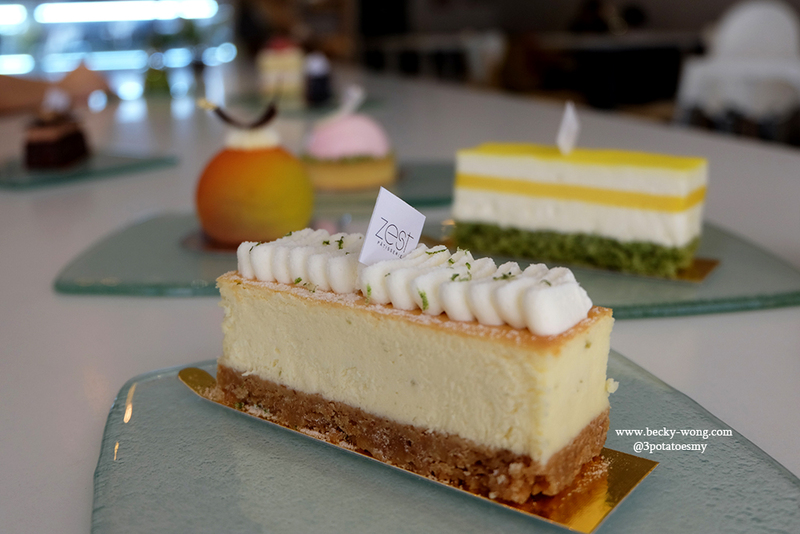 The flavours of sweet-sour were well-balanced and I like the hint of bitterness at the ends that comes from the matcha crumble at the side of the tart. Matcha Chestnut (RM 14.30). Matcha mousse, chestnut creme brulee, honey sponge and milk chocolate deco. The matcha flavours were so pronounced. This is a must order if you love matcha and appreciates the mild bitterness that comes from matcha. Fantaisie (RM 13.80). 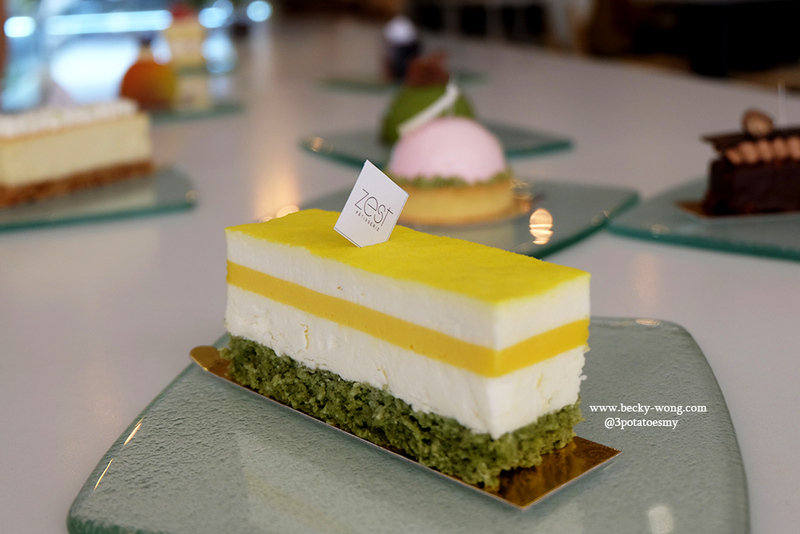 Tangy passion fruit with coconut and matcha. Chocolate Mandarin (RM 14.30). Chocolate and orange has always been a perfect match. Same goes to this dark chocolate, mandarin orange and vanilla combination. Kaffir (RM 14.30). Ever had a dessert that left a deep impression in you? This was one of these desserts! When you add kaffir to ordinary cheesecake, the effect was mind-blowing. Every bite was bursting with kaffir flavours and creamy cheesecake. Kaffir has officially made its way to the top on my cheesecake list! With different texture of chocolate, the Chocolate Gateau (RM 14.30) is certainly not to be missed if you are chocolate lovers. I'm not a chocolate lover, so this might not be on my ordering list then next time I'm there. Chocolate Chili (RM 14.30). I've heard about the combination of chocolate and chili for quite some time, and wanted to try the combination for the longest time. Finally, I get the chance at Zest! Compared to Chocolate Gateau, I'd prefer this and especially liking the soothing heat I get at the end. 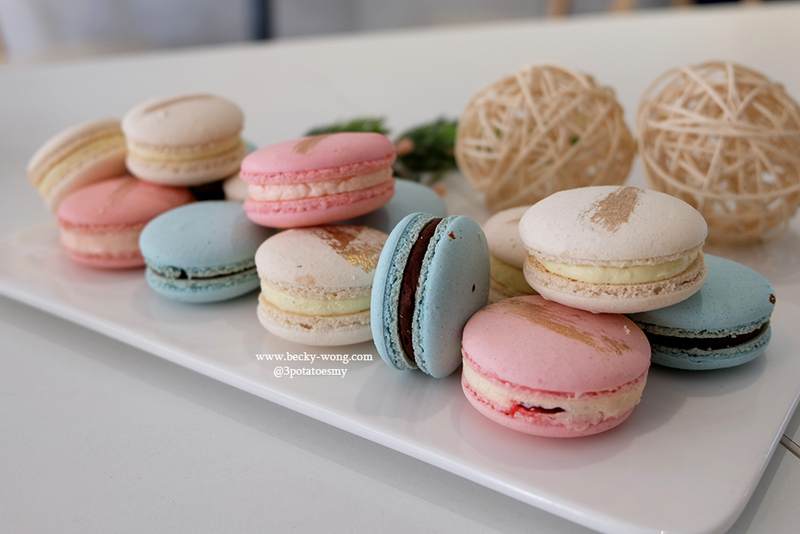 Macaron (RM 4). Ever since I've had macaron from Laduree, I can't find anything close to the ones I've had. They were either too sweet or had the wrong texture. However, I was pretty surprised by the macarons at Zest - not too sweet and the crust was light, soft and slightly chewy. Yummeh!! Caprice (RM 18). 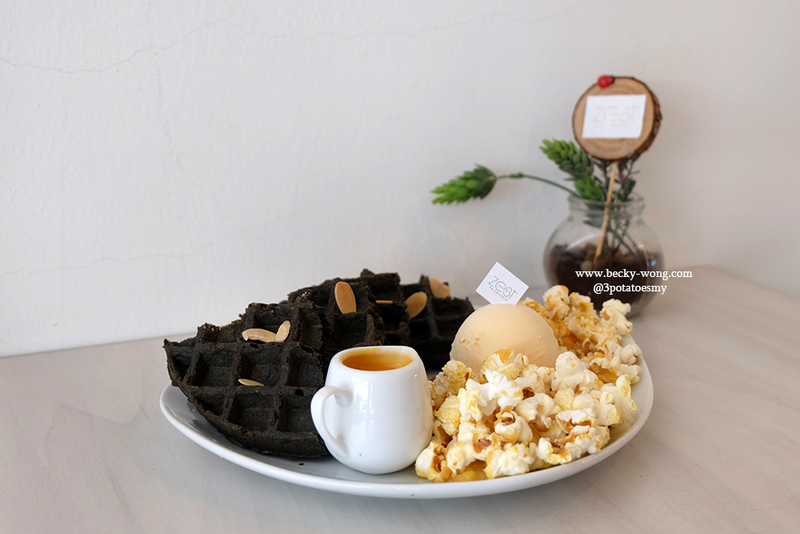 Charcoal waffles served with salted egg yolk sauce, caramel popcorn, crumble almond flakes and salted egg yolk ice cream. Talk about plate of dessert with textures - creamy ice cream, crunchy popcorn and fluffy waffles! 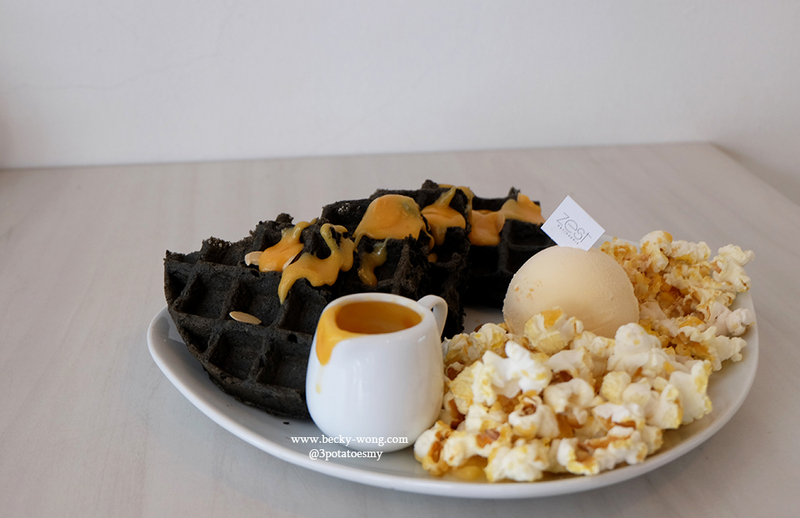 You can choose to either "banjir" your waffles with the salted egg yolk sauce or dip your waffles in it. Organic Bangkok - Light and aromatic, with a hint of lemongrass and ginger. Very soothing to have. 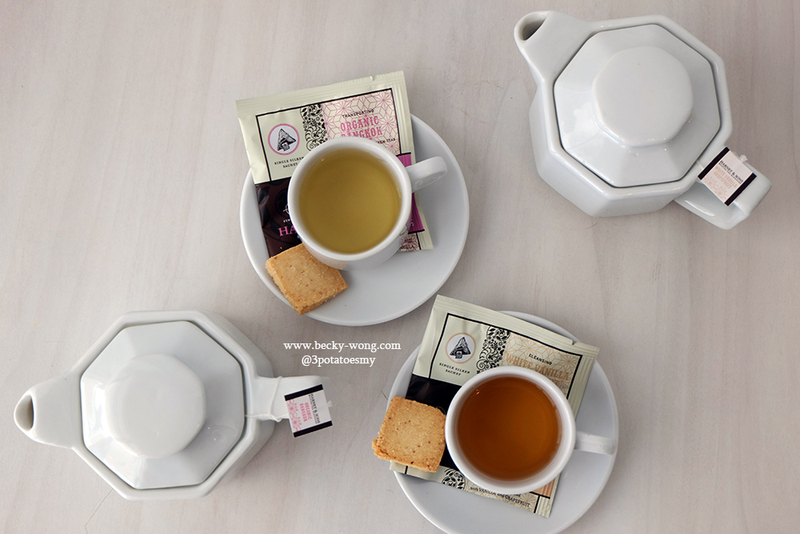 White Vanilla Grapefruit - A cleansing white tea. It it stronger in flavours and you'll never miss the aroma of vanilla. Hazelnut Latte (RM 12). Usually, I'll stay away from ALL flavoured coffee purely because of the syrupy sweetness. The hazelnut latte at Zest changed my mind. Determine to use only quality ingredients; they incorporated actual hazelnut into the drink instead of pumping syrup. 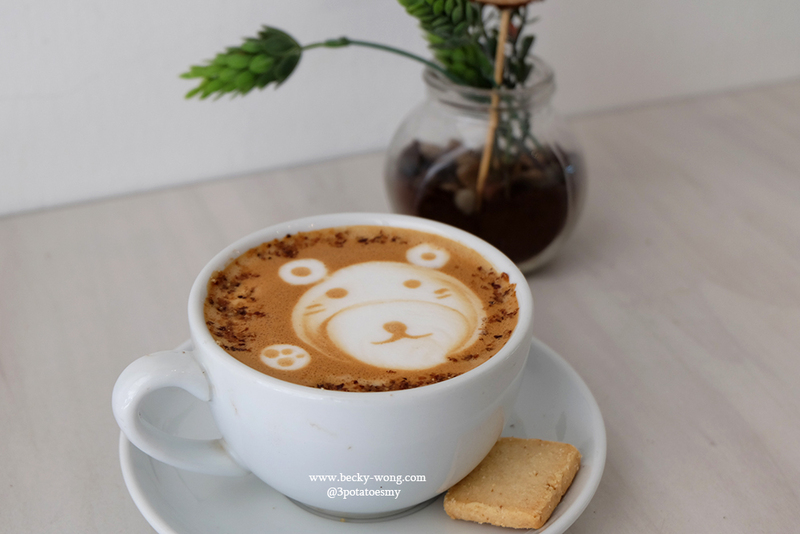 I love the nutty flavours in the coffee! 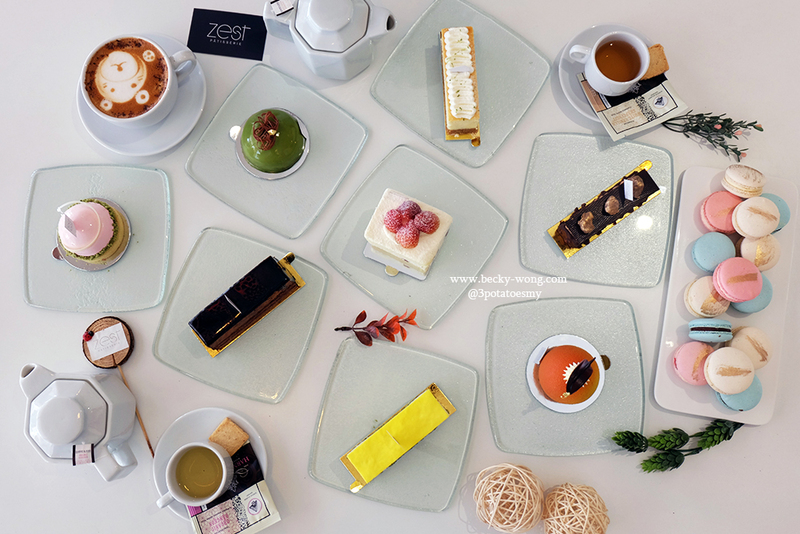 At Zest, you won't find huge varieties of desserts, but you'd definitely find French pastries that are being meticulously prepared using quality ingredients at the dessert bar. 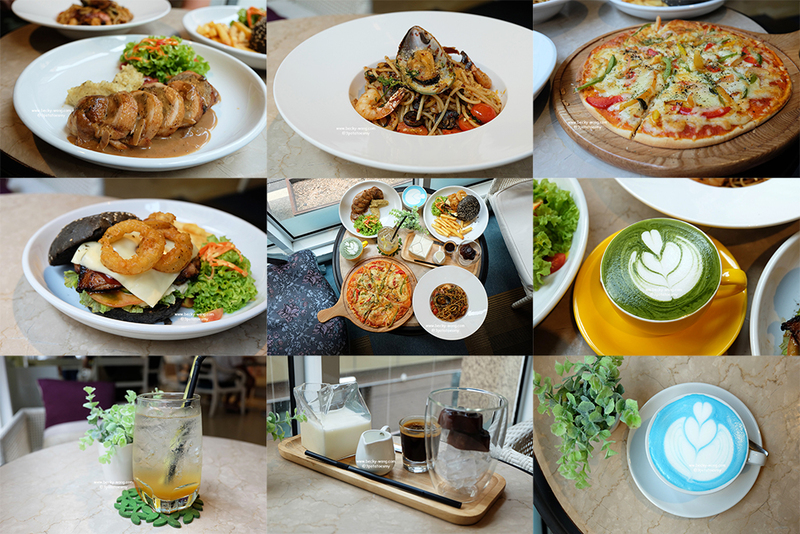 Frankly, I'd rather walk in to a dessert bar with limited selections of desserts but knowing they are good; rather than having wide selections but the taste are just so-so. Don't you agree? 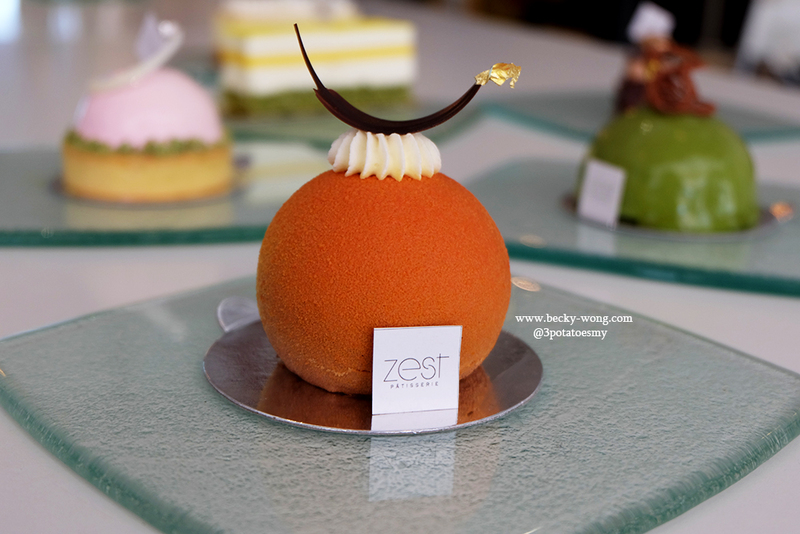 Apart from these little pretty french pastries, Zest does customize cakes too! 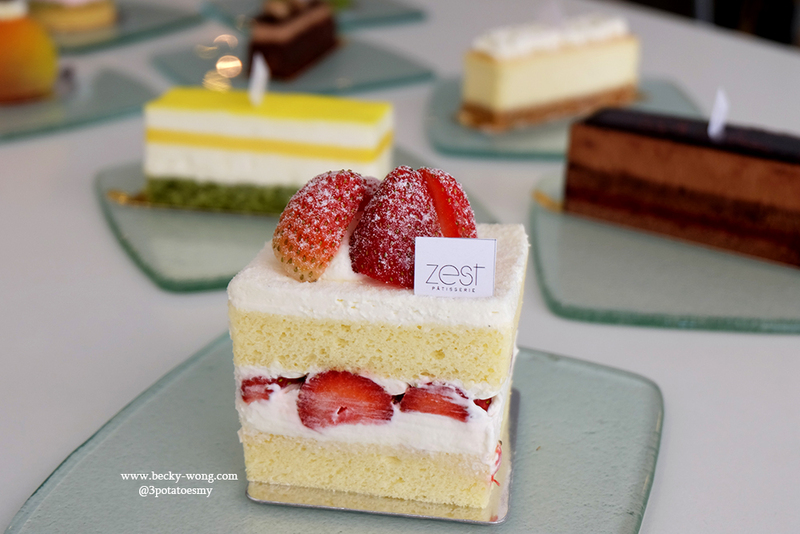 If you are looking for a different type of birthday cake, you might want to give Zest Patisserie a try. 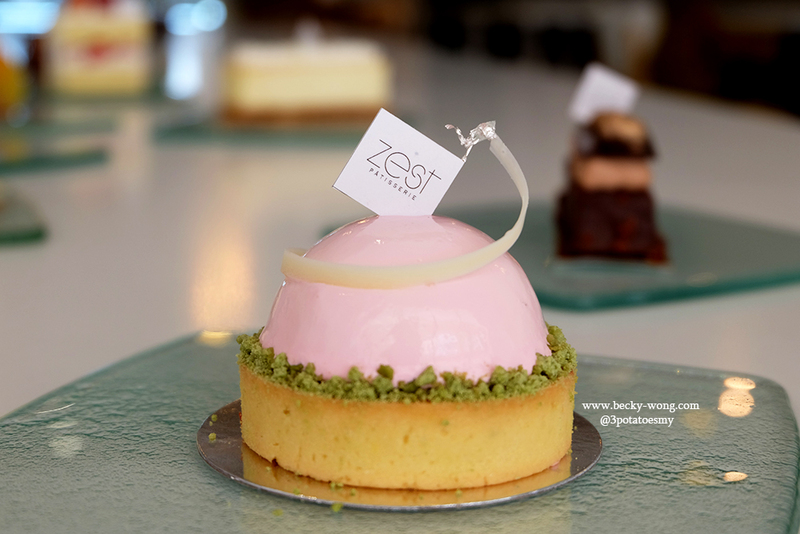 For more updates on Zest Patisserie, do check out their Facebook and Instagram.